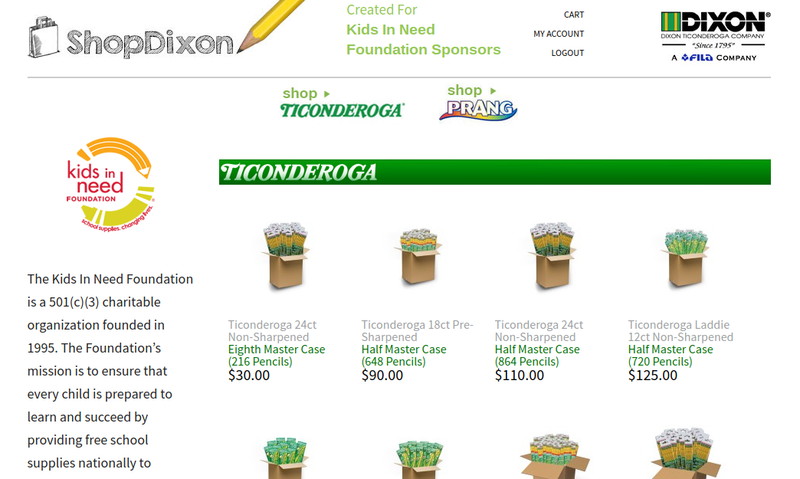 Dixon Ticonderoga, America’s favorite pencil company, has joined forces with our partner the Kids in Need Foundation to get pencils into backpacks and classrooms across America. You can directly impact classrooms in Indianapolis by making a direct product donation to Teachers’ Treasures with just a few clicks of the mouse. 1. Click here to visit the portal. ​2. Once you arrive on the page, click LOGIN in the top right corner next to the Dixon logo. ​4. Verify that you are shopping for Teachers’ Treasures. ​5. 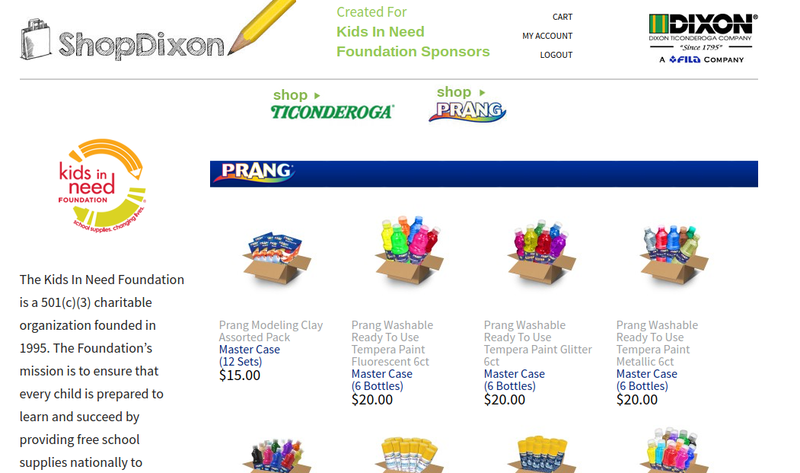 Choose Dixon Ticonderoga or Prang to start shopping. Once you're finished and checkout, your order will be shipped directly to Teachers' Treasures. ​Thank you for supporting Teachers' Treasures!